Home Unlock Alcatel How to Unlock Alcatel Y850V? How to Unlock Alcatel Y850V? Unlocking of Alcatel Y850V is now supported. 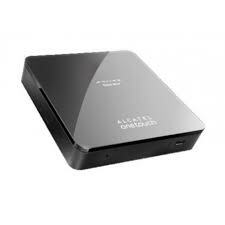 Now our team can provide the correct unlock code of Alcatel Y850V MiFi router too. 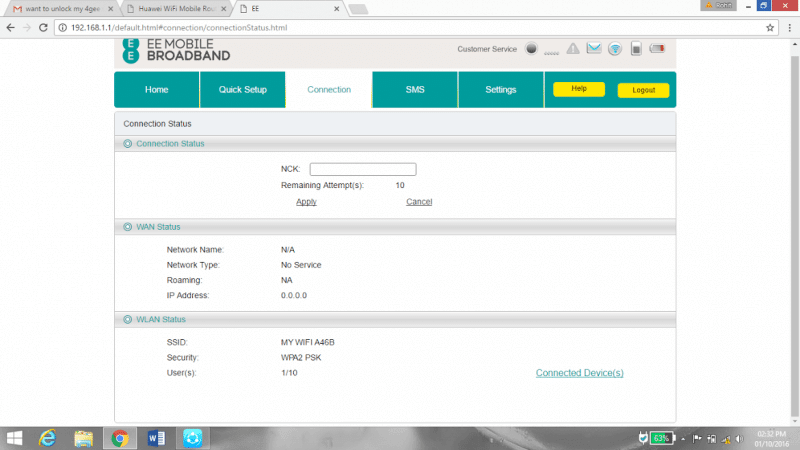 Once the modem is unlocked, you can use any another network provider SIM card as well as the default. How to Unlock Alcatel One Touch Y850V mobile WiFi Router? 1. Charge the device up to 50%. 2. Switch off and change the default SIM card with any another network provider SIM. 3. Connect Y850V to Windows PC or Mac with USB cable or through WiFi. 4. Browse for its default IP address (192.168.1.1). 5. Login to the device with admin username and password. 6. Click on Connection tab. 7. You will see an NCK box. 8. Enter 10-digit NCK or SIMlock code here and click Apply. 9. Now Alcatel Y850V will be rebooted automatically. 10. Create a new profile according to the SIM card and connect to the net. Note: Don’t try any free or wrong codes in Alcatel Y850V, otherwise it will be locked permanently. Previous articleHow to Unlock Alcatel Y850O? Next articleHow to Unlock Alcatel Y800?